met with Kim at 9:00am. The rest of the morning we all went to Carrefour store to do a major grocery errand for Sabolciu. Kim was able to raise $700 USD for food packages for the families in Sabolciu so today we were able to get the food and then hand it out! I am so grateful to everyone who gave towards this project!! Today was my first time grocery shopping for the food packages and what a fun experience it was! I honestly do not know how Mircea and Norbi did it by themselves in the past because today we had four carts full to the max with food. 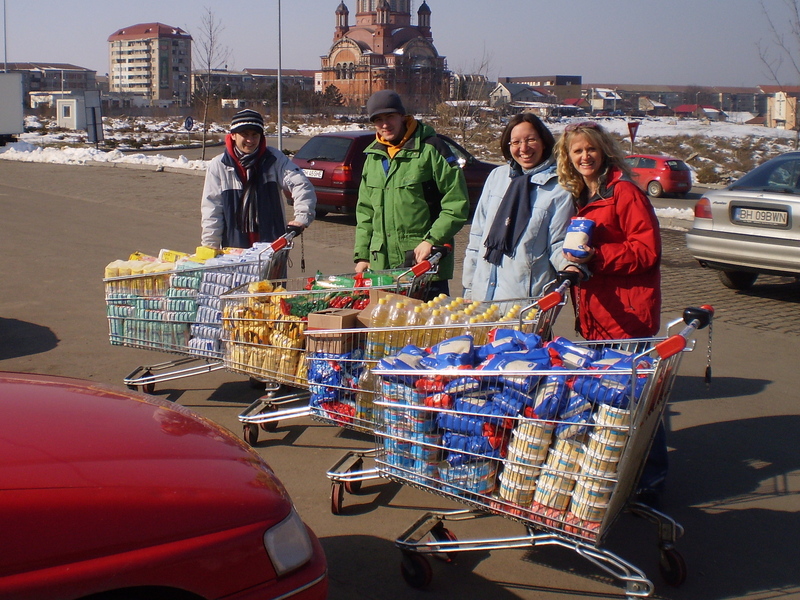 We had grocery carts full of rice, sugar, flour, oil, pasta, corn starch, margarine, laundry detergent and a few other items. The lady at the checkout counter must have wondered what all of that food was for! We did tell her that we were using it to feed the poor and she understood why we bought so much food. to go to each family’s home and give them the food packages. They were not expecting to receive food packages so it came to them as a complete surprise! 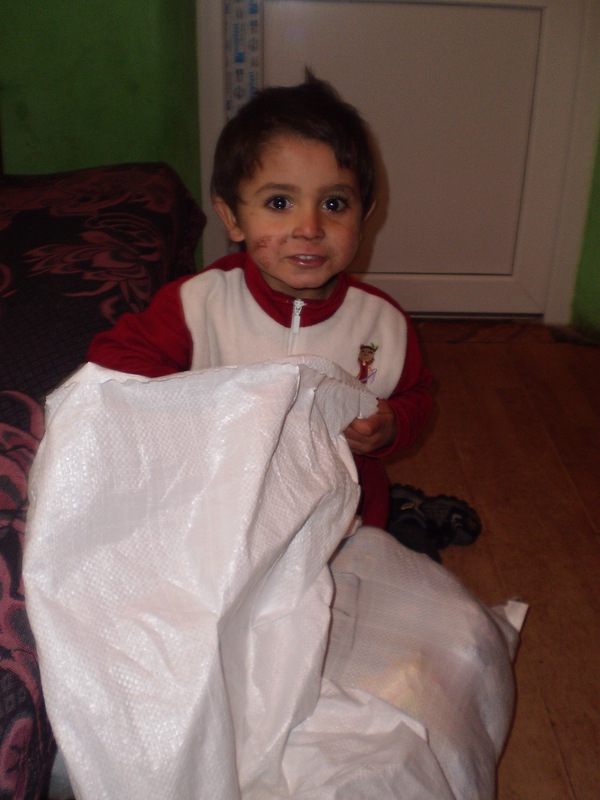 What a blessing from God to be able to bless the gypsy community in Sabolciu with food packages. I had such a great day today but unfortunately my evening wasn’t so pleasant. I came home exhausted after having such a busy and fully packed day so I just wanted to have a relaxing evening at home. The first thing I did when I got home was make dinner and then I wanted to watch a TV show while I ate my diner so I watched “The Biggest Loser”. While I was watching the show the strangest thing happened which was my computer just turned off without any reason why. I thought that was a very strange so I just turned my computer back on but then the rest of the evening I had problems with my computer. I even spoke to my Mom on Skype and it turned off while I talked to her. Oh, I was extremely frustrated and stressed out to the point of tears because my computer kept turning off. I was thankful that my Mom prayed for me and tried to encourage me because I really felt quite frustrated. I went from an amazing great day to an extremely bad evening. I am pretty sure my computer kept shutting off because it was overheating but it never did this before so I don’t know why it all of a sudden started doing it now. Well I hope tomorrow my computer will have a better day tomorrow!